LINGAYEN, Pangasinan – Pangasinan Governor Amado I. Espino, III exhorted farmers and all agricultural stakeholders to learn more farming innovations that can further boost agricultural harvest in the province. “Sana po pag-alis niyong lahat dito ay mas marami po kayong natutunan. Dagdagan niyo po ang inyong kaalaman sa pamamagitan po ng Umaani Expo,” said Espino during the Agew na Umaaniy Pagey or Rice Farmers’ Day of the 3rd Pangasinan Umaani Expo 2019 of the provincial government held at the Provincial Nursery Compound in Sta. Barbara on March 12. Disclosing that the provincial government keeps a careful watch on agricultural productivity in the province, Espino has assured local farmers and other stakeholders that the provincial government remains faithful in backstopping the sector to provide food security to Pangasinenses. “Gagawin po naming ang lahat sa provincial government upang mas mapalago at madagdagan pa ang programang agrikultura,” said Espino noting that agri augmentation of the provincial government started under the watch of former governor and now fifth district representative, Congressman Amado T. Espino, Jr.
Espino also extolled the unwavering support of line agencies such as National Irrigation Administration (NIA) and Department of Agriculture (DA) to enhance the agricultural state in Pangasinan. In saying this, the provincial chief executive urged local farmers to look after their health and be ready for anticipated and other unexpected natural phenomenon that may their affect agricultural production. 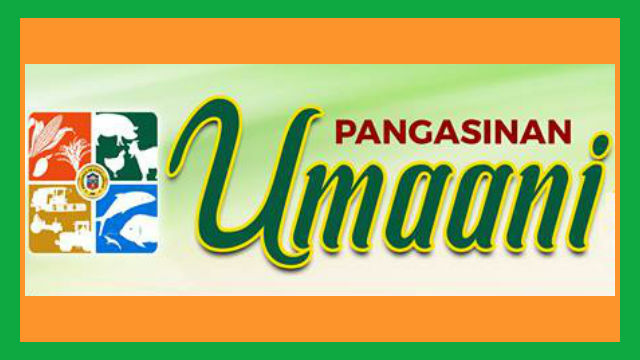 The provincial governor stressed that the Umaani Festival aims not only to promote the bounties of land and water in Pangasinan, but more especially, to recognize the uphill battle faced by local farmers and other agri stakeholders. The rice farmers’ day also featured agricultural forum focusing on the following topics: NIA Programs and Projects; DA Programs and Projects; Top 5 New Varieties of Rice and Policies and Guidelines; and Hybrid Rice Commercialization Program.